It’s still nearly two weeks away, but reservations are going fast for the next Let’s Dine Out Show’s Grub Club event. The next dinner is set for 6 p.m. February 8 at Spaggi’s Italian Grill, 1651 W. Foothill Blvd., Upland. According to the Tweet below, only 14 seats remain as of Tuesday night. The $43 cost per person is all-inclusive, and covers the food, tax, gratuity and non-alcoholic beverage. 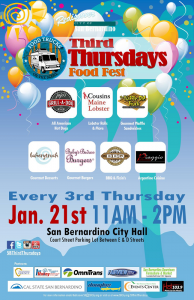 Today (January 21) is the third Thursday of January, which means that food trucks will again be converging for lunch in downtown San Bernardino. The trucks will be parked between 11 a.m. and 2 p.m. in the city hall parking lot on the south side of Court Street, between D and E streets. 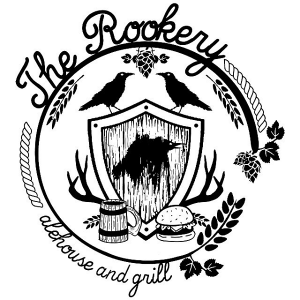 Scheduled trucks this month include: Baby’s Badass Burgers, Bakerytruck, Cousins Maine Lobster, Jojo’s Grill-A-Dog, Piaggio on Wheels, Smoke ‘Em if You Got ‘Em BBQ and The Waffle-Oh! Truck. Attendees who take the sbX to the event will receive a $5 voucher for the trucks. For updates, “Like” the event on Facebook or follow on Twitter. The Upland Chamber of Commerce’s Taste of the Inland Empire will take place from 6 to 10 p.m. tonight (January 15) at the DoubleTree by Hilton, 555 W. Foothill Blvd., Claremont. 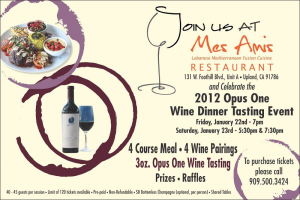 In addition to an array of food and drink, the event will feature a Monte Carlo night and an auction. 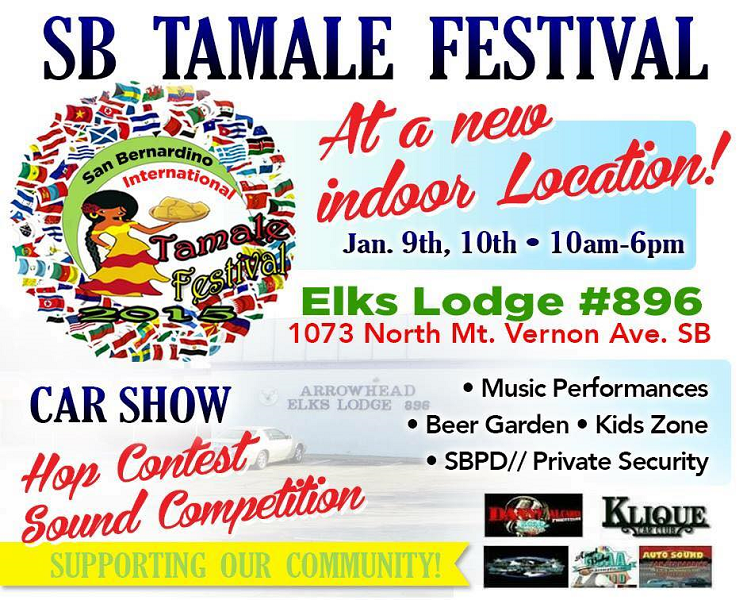 Tickets are $75 and may be purchased by calling the chamber at 909-204-4465. Tickets might also still be available online by clicking here. 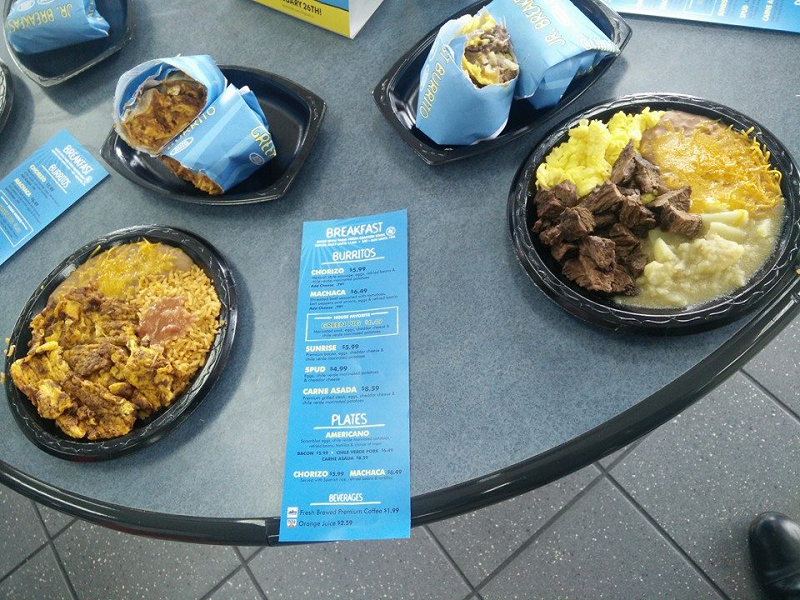 Get paid on Friday and are looking to make your lunch money go a little further on Thursday? You’re in luck. 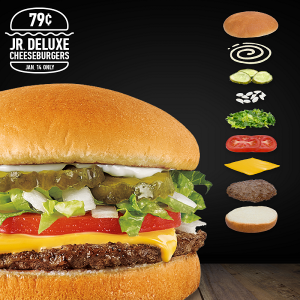 Simply head to Sonic Drive-In this Thursday (January 14) and order some Junior Deluxe Cheeseburgers for just 79¢. You can order up to five burgers — definitely enough to tide you over until Friday. 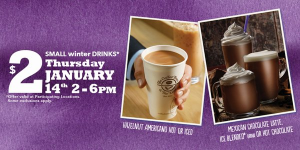 On Thursday (January 14), The Coffee Bean & Tea Leaf will be showcasing its winter beverages by offering them at a very special price. From 2 to 6 p.m. at participating locations, guests can choose from a small hot or iced Hazelnut Americano, Mexican Chocolate latte or Iced Blended or hot chocolate for just $2. For more information, visit the open house’s Facebook event page. We totally did not see this coming. We’d followed the progress of the Riverside Sonic Drive-In, but had no idea one was also opening in Pomona. It opened at 10 a.m. yesterday (January 11). The new Sonic is at 40 Rio Rancho Road, near the Walmart in the Pomona Ranch Plaza. Talk about your last-minute drama. 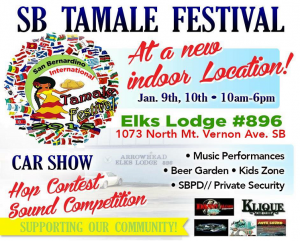 The permit for inaugural San Bernardino International Tamale Festival, set for this weekend (January 9 and 10) at Perris Hill Park, was revoked by the city late yesterday (January 7) due to an expected 40% chance of rain at around 9 p.m. Saturday night.